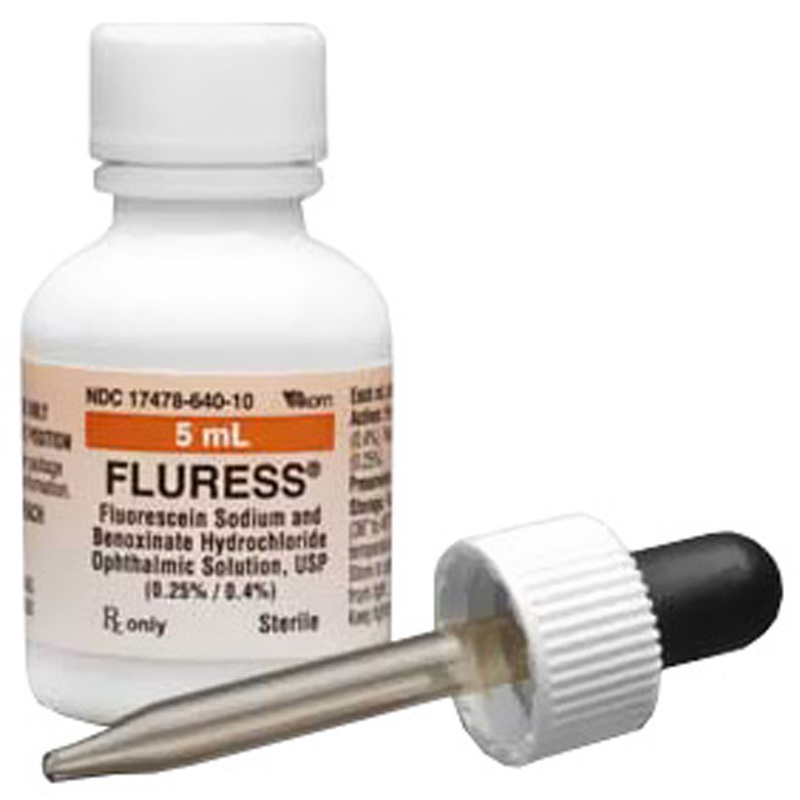 Fluress Opthalmic Solution 5ml is a sterile ophthalmic solution combining a disclosing agent with an anesthetic agent. Fluress® is the combination of a disclosing agent with a rapidly acting anesthetic agent of short duration. Doasage & Administration: Removal of foreign bodies and sutures, and for tonometry: 1 to 2 drops (in single instillations) in each eye before operating. Deep ophthalmic anesthesia: 2 drops in each eye at 90 second intervals for 3 instillations. NOTE: The use of an eye patch is recommended. Indication & Usage: For procedures requiring a disclosing agent in combination with an anesthetic agent such as tonometry, gonioscopy, removal of corneal foreign bodies and other short corneal or conjunctival procedures. Contraindications: Known hypersensitivity to any component of this product. Storage: Refrigerate at 2° to 8°C (36° to 46°F). User may store at room temperature for up to one month. Store in carton until empty to protect from light. Keep tightly closed.